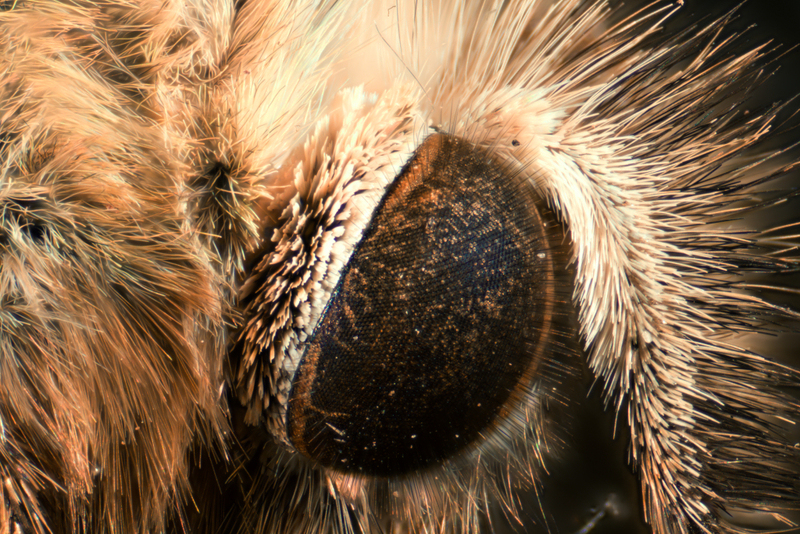 22-frame focus-stacked image of the eye region of a butterfly. As it has been drizzling all day I have been doing some microscopy while my wife worked in the greenhouse. Knowing I was working with the microscope she brought me in a dead butterfly from the greenhouse. It went straight under the microscope for a 22-frame focus-stacked image stitched together using that brilliant piece of software Helicon Focus.